Published on 24 September 2012. 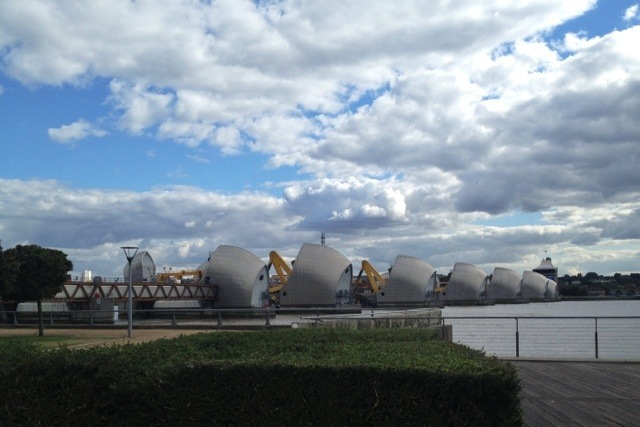 As I’ve logged on to post today’s picture, I’ve realised that I forgot to post anything yesterday… so, as recompense, here’s a picture I took last week of the Thames Barrier. It should also serve as a reminder of what the sky looks like when it isn’t bucketing – something we all need after a day like today! This 1,821st post was filed under: Photo-a-day 2012, London.